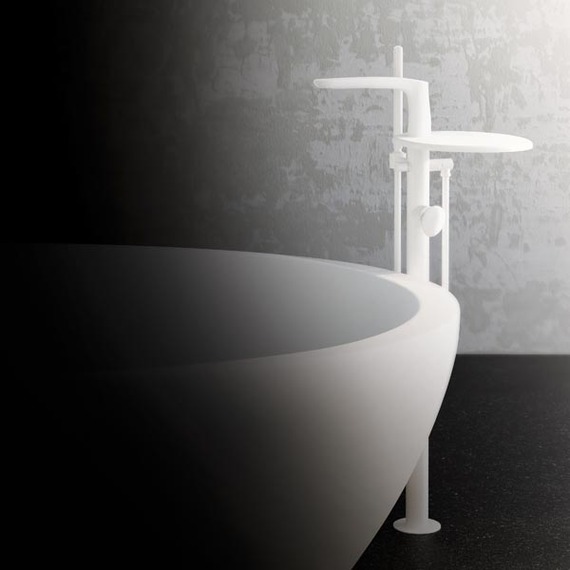 Fir Italia’s Synergy collection of mixers for the bathroom, with their organic design inspired by nature, find their natural home in minimal style environments; bathrooms characterised bysimple, linear and elegant forms. 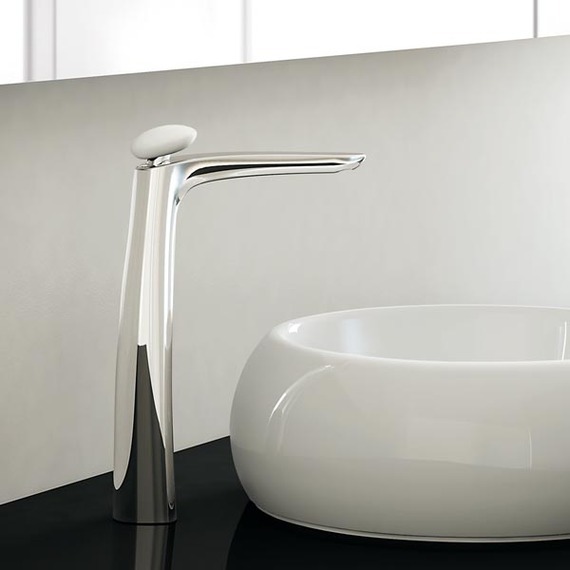 Fir Italia’s Synergy collection of mixers for the bathroom, with their organic design inspired by nature, find their natural home in minimal style environments; bathrooms characterised by simple, linear and elegant forms. 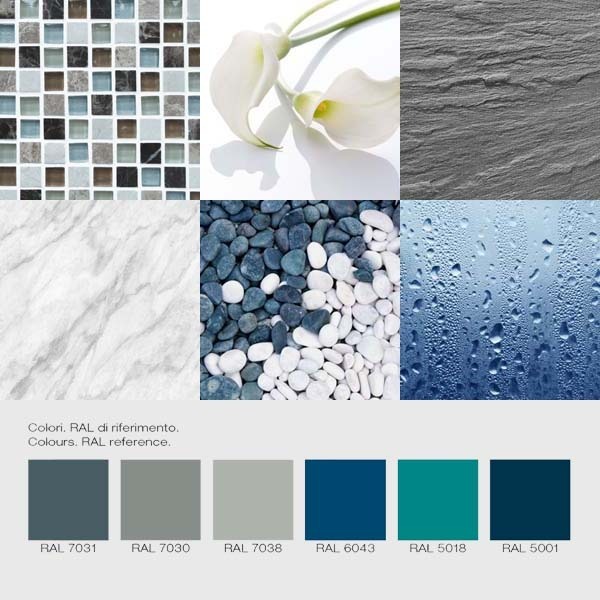 For this minimal bathroom, with its white or light shades of grey and blue, complimented by materials such as glass mosaic, white Carrara or Calacatta marble, lava stone, quartz bricks or even slate, the Synergy collections of mixers propose two finishings: Chrome + Glacier White Corian® and White + Glacier White Corian®. 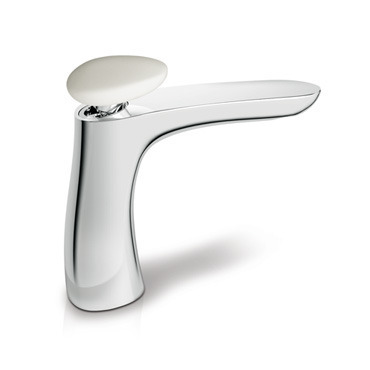 Chrome + Glacier White Corian® is a finishing that combines a chrome finishing on the body of the mixer with details in DuPont™ Corian® Glacier White, an elegant, warm and extremely hygienic material that is easy to clean, creating mixers that blend easily with other elements in the bathroom. Alternatively, there is the White + Glacier White Corian® “total white” solution, with a matte white lacquered body and details in DuPont™ Corian® Glacier White. Those who use minimal style to express themselves, pay particular attention to the choice of colours and use of materials; they prefer the pragmatic and strong character of simple rooms with elements of design, suitable for a person who appreciates extreme order, practicality and concreteness. In a minimalist context, the concept of maximizing a sense of airiness and space involves furniture being placed or hung along the walls, thereby minimizing the overall clutter and hiding any accessories or ornaments. The free space will therefore allow the light to move and reflect on the surfaces of the furniture, making you feel the rooms much larger. Imagine a wash basin area characterized by a slate countertop. Synergy minimal proposal is an XXL mixer with a DuPont™ Corian® handle, in the Open 93 version in Chrome + Glacier White Corian® finishing. 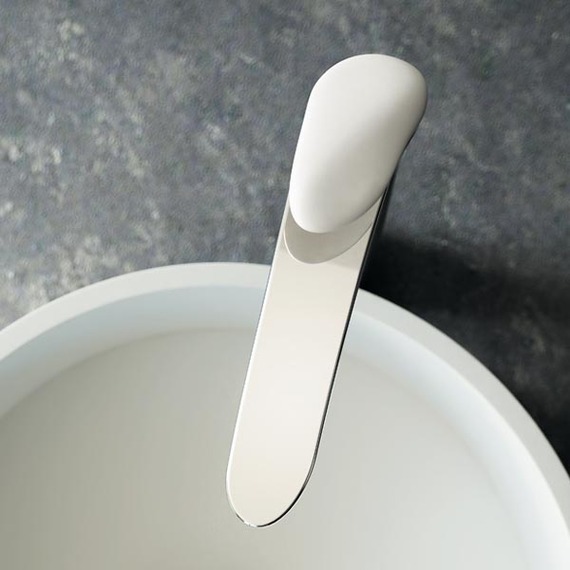 A solution that emphasises the body of the mixer; a solution that is perfectly suited to a large washbowl. 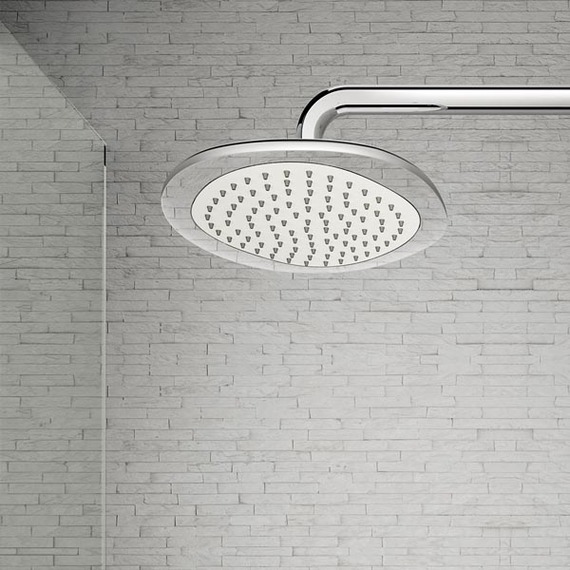 For a bath area with quartz mosaic tiles, we suggest the Synergy Open 93 deck-mounted four-hole bath tap, complete with diverter and hand shower in Chrome + Glacier White Corian® finishing. 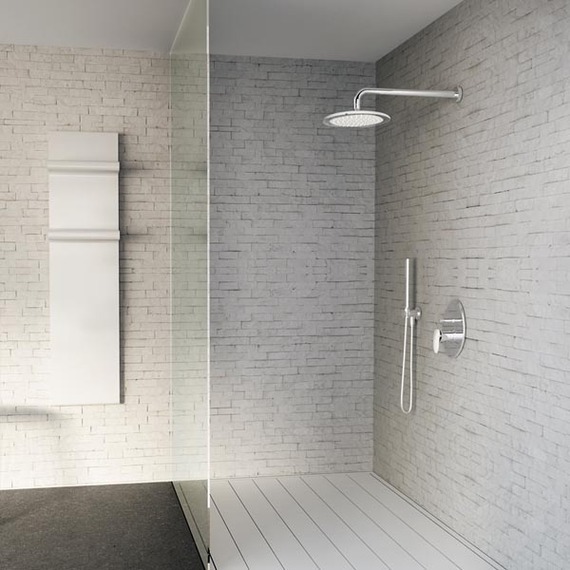 Whereas for a shower area with quartz mosaic wall tiles and a crystal panel, the Synergy collection offers a configuration in Chrome + Glacier White Corian® finishing, incorporating a wall-mounted shower head, a wall-mounted hand shower and a shower mixer with diverter. 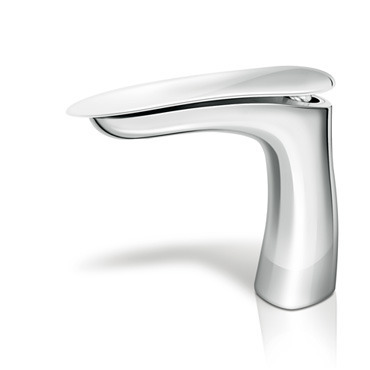 Discover more about the organic shapes of Synergy taps, that take their inspiration from nature and its elements. Shapely and manifold objects, with continuously varying contours, depending on the observation point. 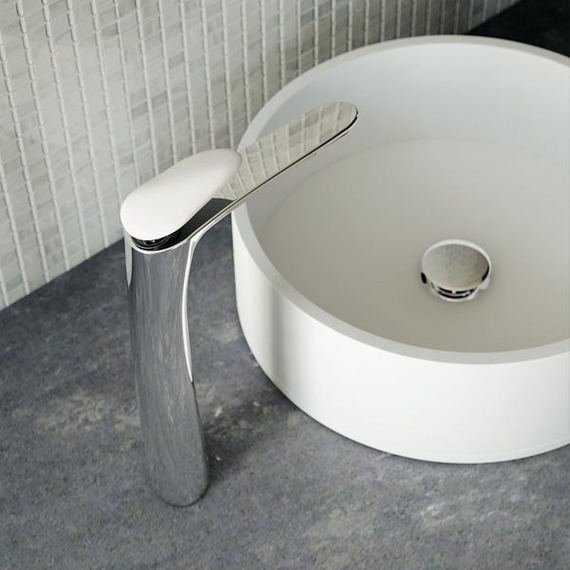 “stone” handle, which draws its inspiration from the compact and smooth stones that can be found near the sea or rivers. 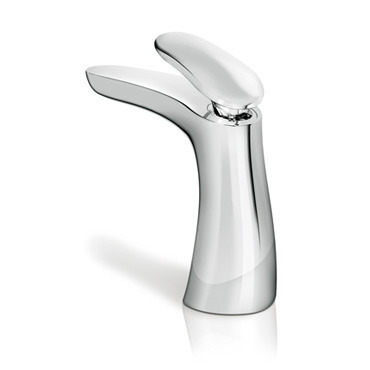 short and compact handle, which compliments the body of the tap. lever which extends out over the spout, covering it completely, and is reminiscent of desert dunes shaped by the blowing wind.